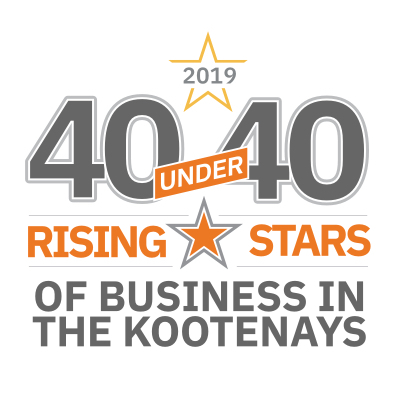 Every year, our Kootenay Business audience nominates their favourite local entrepreneurs under the age of 40. 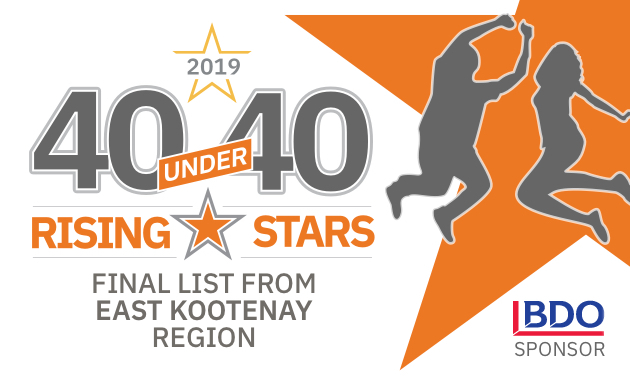 The result is our 40 under 40 list, a collection of the brightest rising stars in the region. The co-owners of Soulfood have skills that make them a strong team. Soulfood is a farm-to-table, whole-foods restaurant operated co-operatively by locals who care deeply about building community and eating good food. The three women have recently transitioned from a partnership to a co-operative and moved Cranbrook locations. 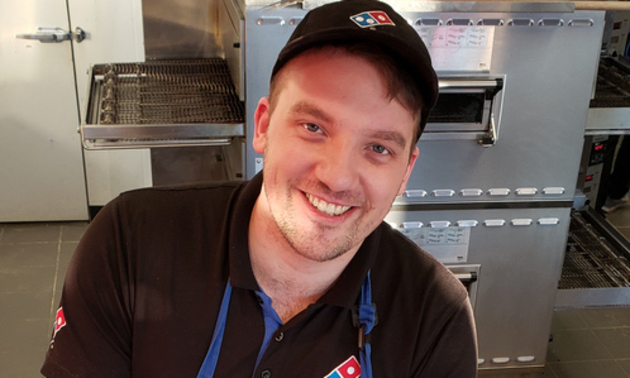 Since he took ownership of Domino’s Pizza, Louis Nelson has made a positive impact on Cranbrook. He received 5/5 stars on the business’s first evaluation from corporate this year, and he’s one of four nominees for the Manager of the Year award in Canada. 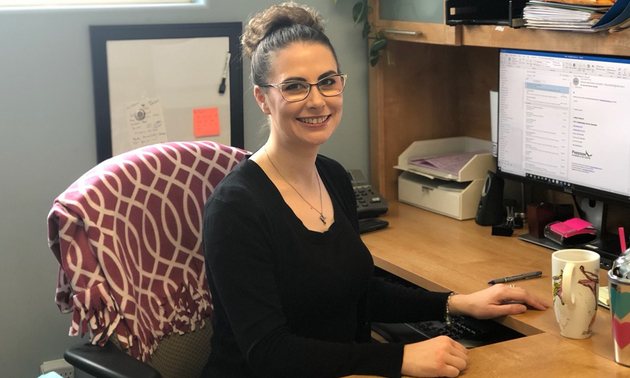 Ashley Pedersen, owner of EK Freedom Business & Tax Centre Inc. — Photo courtesy EK Freedom Business & Tax Centre Inc.
EK Freedom Business & Tax Centre Inc.
Ashley Pedersen offers year-round, full-service bookkeeping and tax services to her East Kootenay clients. Her team has grown in leaps and bounds, not just in terms of size but also their qualifications and business community involvement. Offering exclusive B.C. 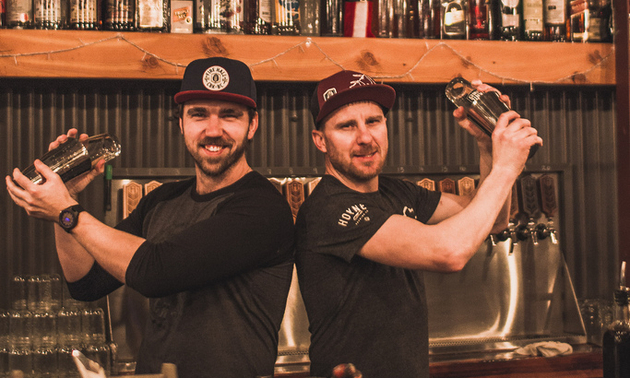 brews at their craft beer taphouse and gastropub, Jesse Roberts and Fred Williams also play an integral role in their community and are starting their own charity to assist local youth in need. 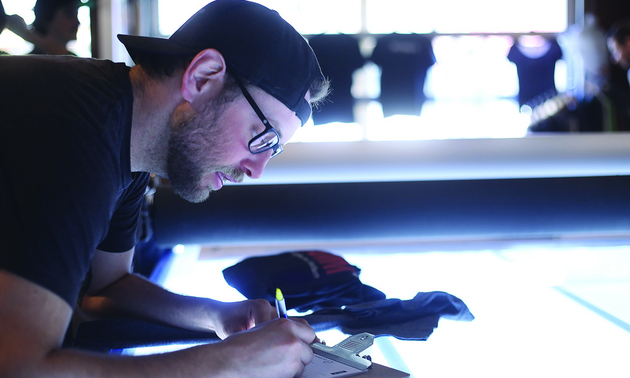 Zach Silver specializes in distilling clients’ passions, drive and hard work into engaging visuals for their businesses. He has worked with companies across North America to create brand identities and grow their following. 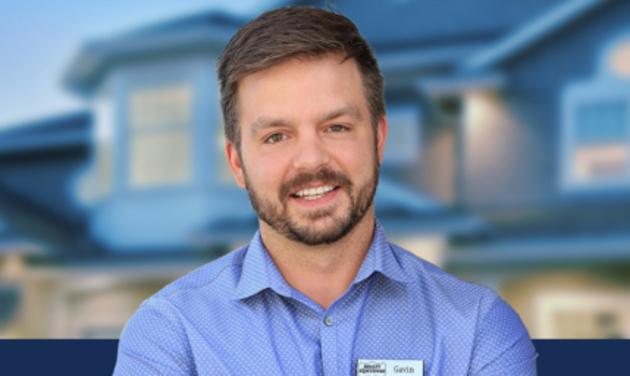 Gavin Thomas facilitates real estate transactions, but his biggest priority is helping people make thorough, informed decisions to achieve their real estate goals. Those goals include quality of life, present and future needs and financial implications. Nikki Van Boeyen joined Gipman’s five years ago and quickly advanced to her current position. She oversees all designs and sales with clients, a 15,000-square-foot cabinet manufacturing facility and on-site installations. She has been part of the Sam Steele Sweetheart Committee for 13 years, just one of countless volunteer activities. 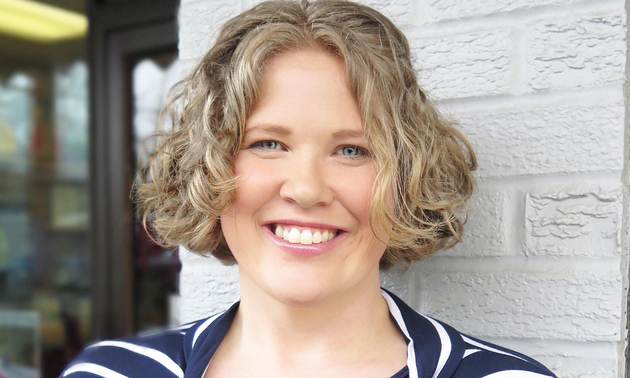 When she started her event planning business in Creston, Amanda Murray was clearly on the right track. In just a short while, AM Event Coordination grew to include a team of three staff members, with the strong support of Creston customers. 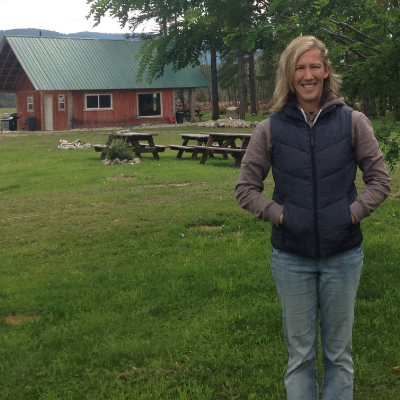 Murray’s goal is to continue boosting her community, bringing more tourism and entertainment to the town. Brittany Tilling opened a flower farm and studio this past January. 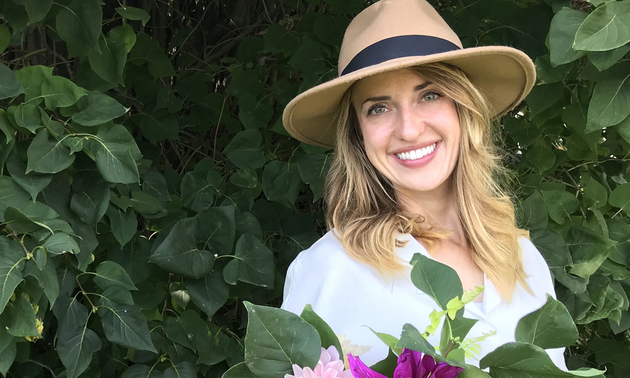 She and her mother (also her business partner) use locally foraged material and their own grown blooms to create beautiful wreaths, bouquets and more. Tilling looks forward to incorporating many of the farm’s blooms into her 2019 wedding designs. A lifelong lover of the culinary arts, Amy Cardozo is stoked about her job. 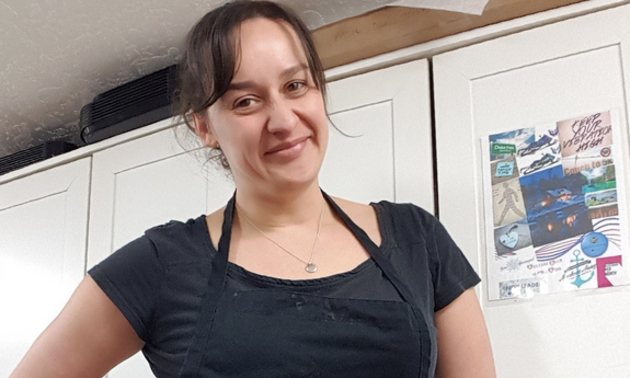 She owns and operates Crumbs Cakery in Fernie, and her delightful baked goods are getting more creative all the time. Alicia Clarke opened Grow Children’s Boutique to provide quality educational toys and gear to youngsters. 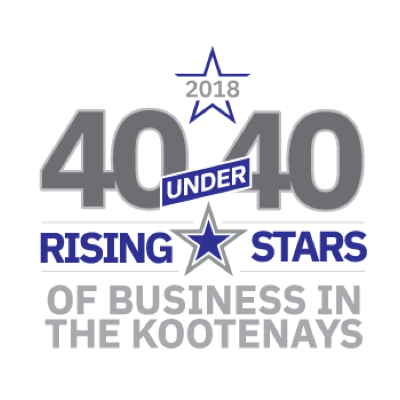 Clarke received a Gold award for the Best of Fernie 2018, as well as a Platinum Best of Business award in 2018 for Best Toy Store in the East Kootenay. 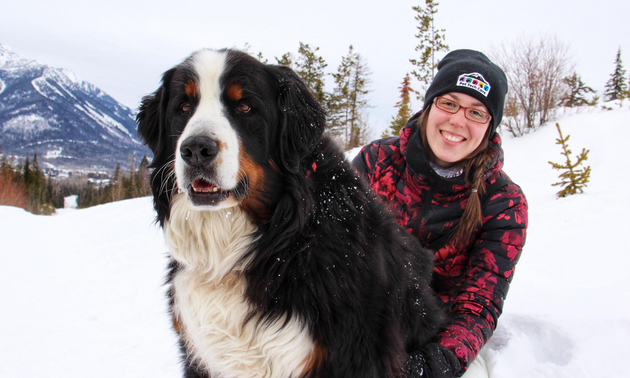 Pet Tech Care is Val Lanthier’s vision—she offers professional pet sitting and dog walking in the Elk Valley, 365 days a year and 24/7. Her empathy, determination and years of experience working as a veterinary technician make Lanthier a trustworthy option for the care of your furry family members. David Thomson and Coraley Letcher, a husband-and-wife team, have developed a successful general construction company with a specialty in roofing—all while juggling the demands of three small children. 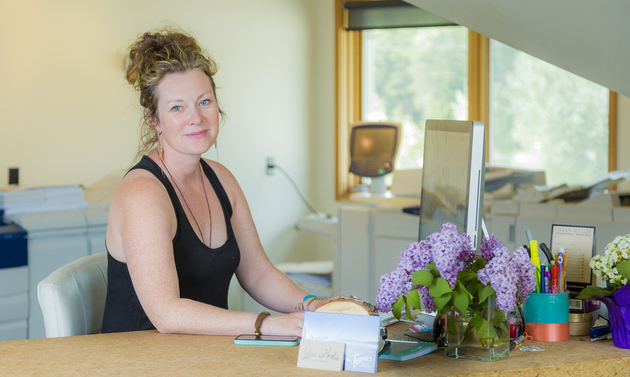 This single mother and successful business owner provides customized printing in Fernie and the Elk Valley region. 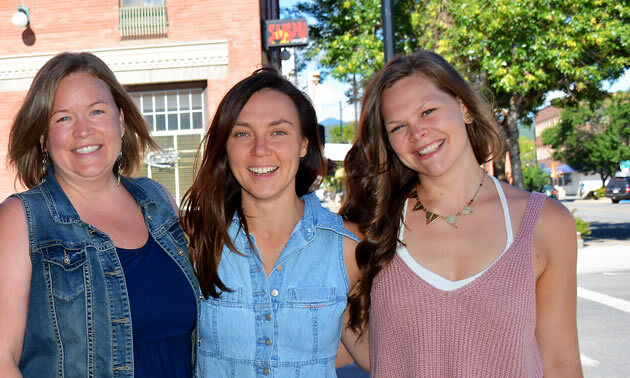 Thompson volunteers her time and services to local organizations such as the Wapiti Music Festival, which plays a huge role in local culture and tourism for Fernie. 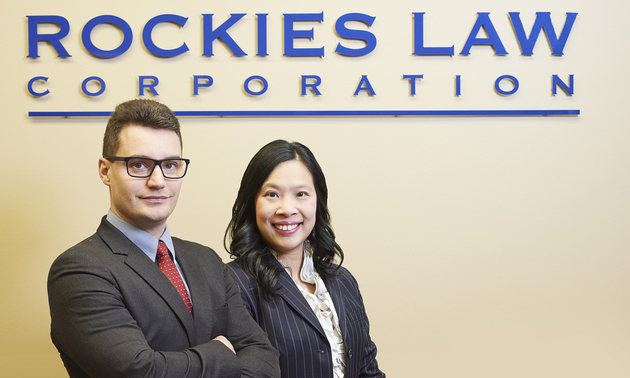 This husband-and-wife team are lawyers at Rockies Law Corporation and are the principals of the Fernie and Sparwood offices. Karen practices family law and civil litigation, and she is an accredited Family Law Mediator. Graeme’s practice areas include real estate, wills, estates, business, and personal injury law. He also has a master’s degree in tax law. These busy Columbia Valley entrepreneurs recently expanded the Stolen Church staff team, and they are excited about their new manufacturing facility in Windermere. 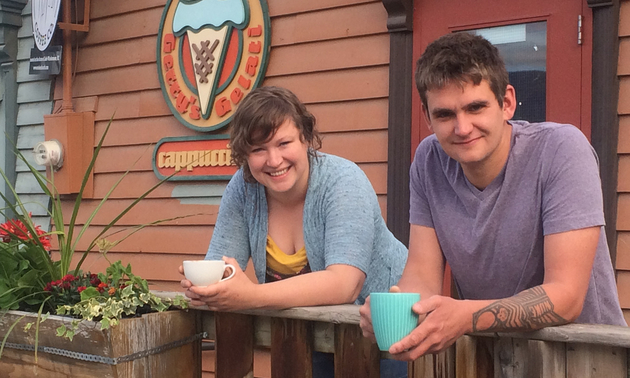 Plus, their Ethiopian Single Origin coffee recently won Best Brew at the Invermere Coffee Fest. 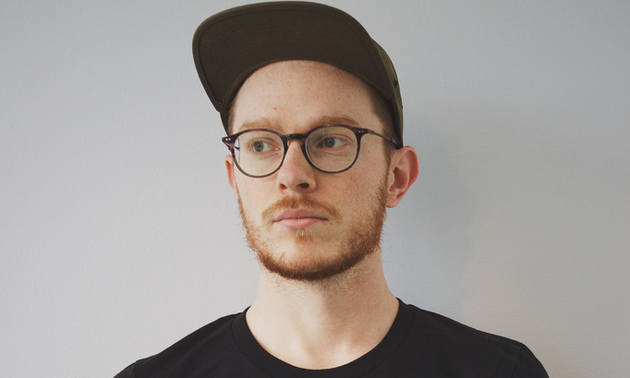 Lucas Roach has the skill and drive to take on in-depth branding contracts and other creative opportunities. He has recently expanded Big Magic Design to offer large-format digital printing for vinyl stickers and small signage. 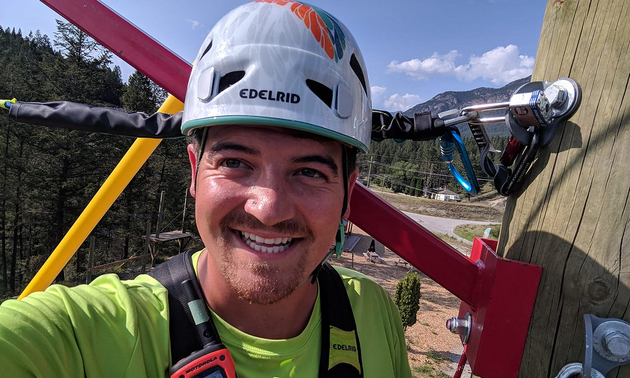 Patrick Tolchard let nothing stand in his way when he decided to make Valley Zipline Adventures a reality. Tolchard has dreams of making his adventure playground the number one Columbia Valley attraction. 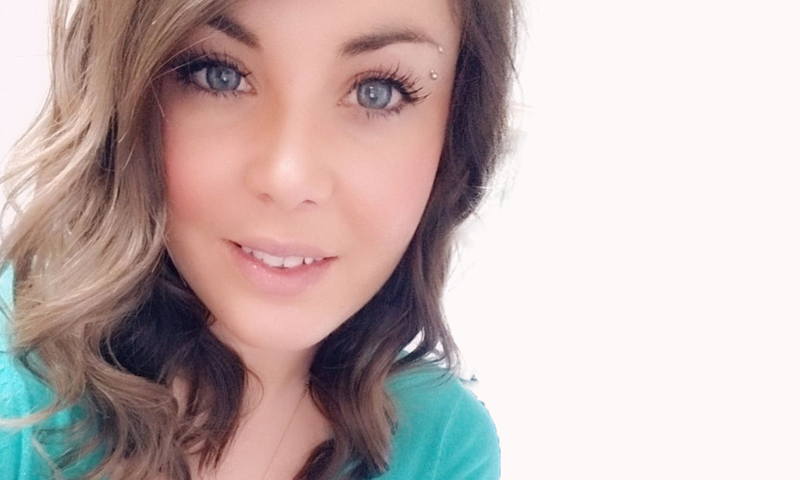 As banquet manager at this Sparwood hotel, Rochelle Bertucci Olson thrives in the fast-paced, high-energy environment. She uses her organizational talents and passion to inspire her staff and incorporate their individual strengths to make each event proceed seamlessly. 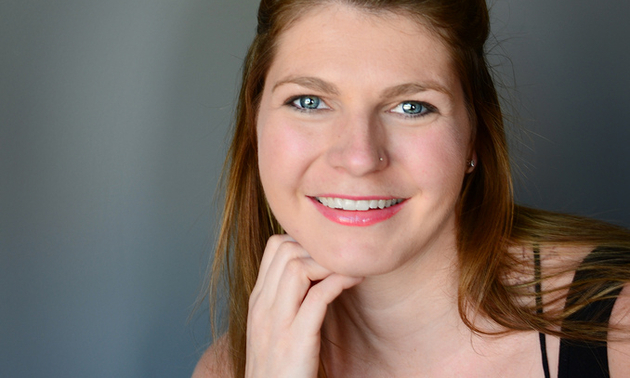 She’s a skilled multi-tasker with plans to take on more clients and expand her services. 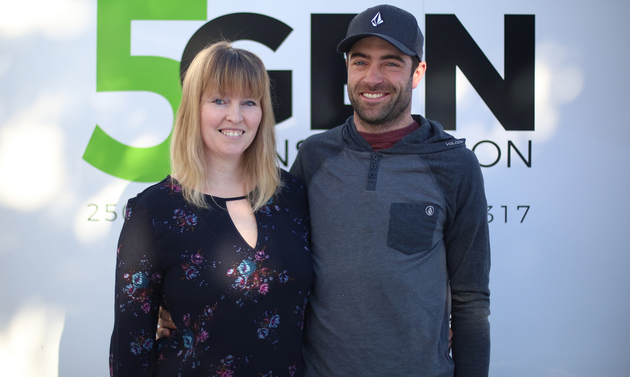 Ryan Hoetmer has built and grown Sparwood Chiropractic and Wellness immensely over the last few years with a wide range of health services for his community. He looks forward to helping each person live a healthier, happier and more productive life.